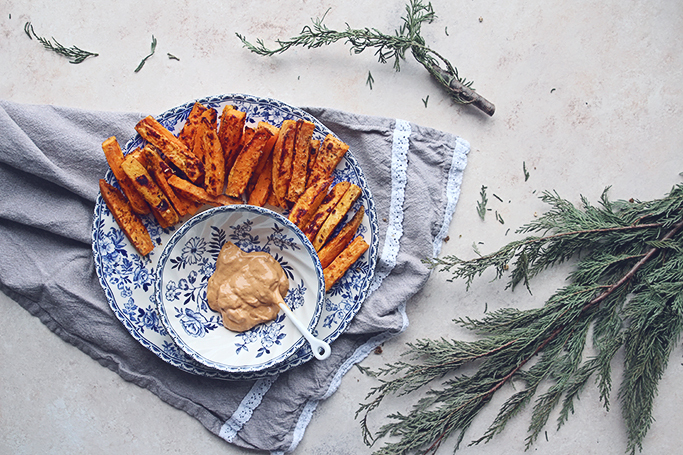 Sweet potato fries have to be Harlow’s absolute FAVOURITE snack. They are so easy to make and a lot healthier and cheaper than some of the ready made ones you can buy. 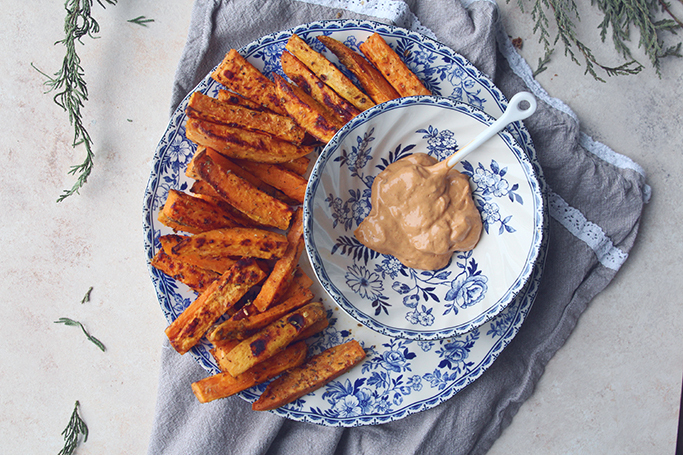 Sweet potatoes are nutritious and serve as a good little snack for babe or an appetizer or side dish to any meal. 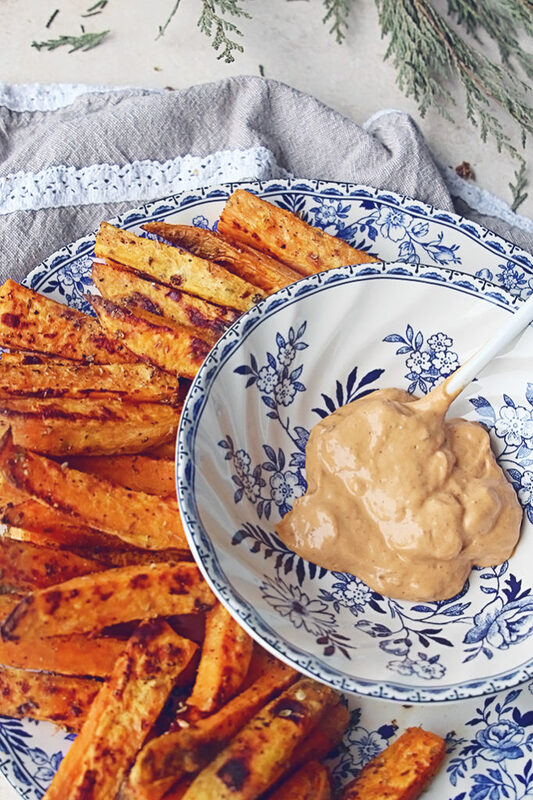 We serve them with chipotle mayo veganaise but you could make your own cashew chipotle dip as well. 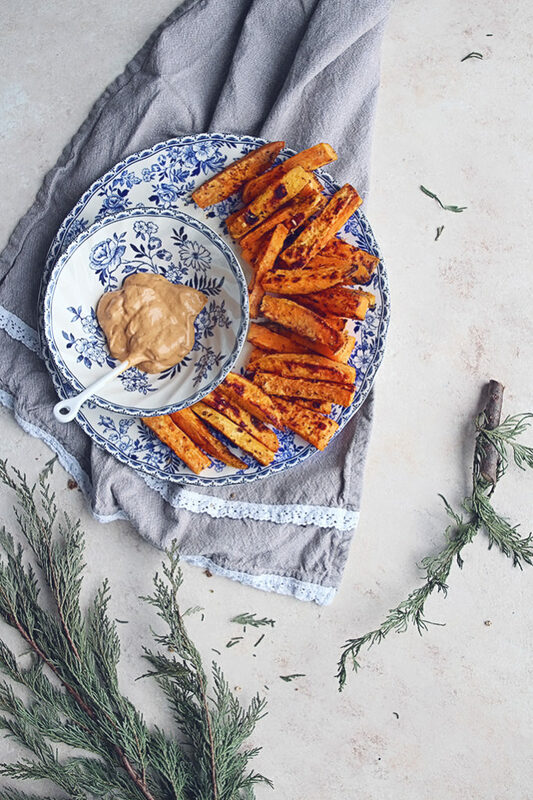 Chop your sweet potatoes into the shape of a fry or wedge. Add them to a bowl. Add the olive oil and spices, mix well. Line a baking sheet with wax paper and spread the sweet potatoes across. Bake for 30-45 minutes or until fries are browning.